It's no secret that the ecosystem of the Sacramento-San Joaquin Delta is in rough shape, by many metrics. One of the most talked about, and controversial, subjects is the state of the delta’s native fish populations, including endangered salmon runs and delta smelt. Management to protect critical fish populations has meant curbing water exports from the delta, which support farms and cities farther south and west – a policy unpopular with many water users. But is there a better way to do things? Fisheries expert Peter Moyle, a distinguished professor emeritus in the Department of Wildlife, Fish and Conservation Biology and associate director of the Center for Watershed Sciences at the University of California, Davis, has some ideas. Moyle spoke recently with Water Deeply about key problems in the delta, ideas for better management and the how native fish populations can be restored through habitat changes in key areas. Water Deeply: When it comes to the delta, we hear a lot about a few endangered species, but how is the delta ecosystem doing as a whole? Peter Moyle: It’s not an easy question to answer. It’s actually a healthy ecosystem. But it has a lot of undesirable characteristics and by that I mean it’s not a very good place for native fish, like salmon and smelt. But it’s a great place for some of these non-native fish like largemouth bass. It depends on your point of view. If you’re a bass fisherman, the delta is great. 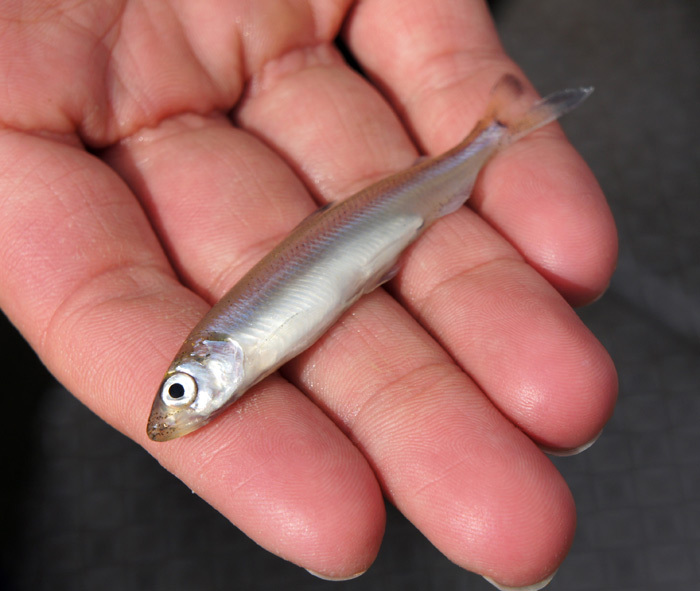 If you’re interested in trying to keep native fish species going, like the delta smelt, it’s an ecosystem in pretty bad shape. It’s just a matter of what characteristics of the ecosystem you value. Water Deeply: What is the value of native fish in that ecosystem? Moyle: The ones that people value the most are the salmon, of course; there are four runs of salmon. And there are steelhead, and those fish all have commercial and sport value. Then we have two species of sturgeon, which also have sport value. One of the things our society has done is decide the highest priority for management are endangered species. We have seven endangered fish species in the delta, which take the priority for management. As a society, in a sense, we have made a decision that these native fishes that are in real trouble are what we value most in the system. Even though the ecosystem itself is not doing very well in terms of supporting them. Water Deeply: Does it make sense to manage the ecosystem for the protection of endangered species? Moyle: It makes sense from the point of view of the Endangered Species Act, but it’s not managing it as an ecosystem. If you focus on just those species you lose track of the bigger picture. If I had my druthers it would be to manage the system for broader ecosystem values that include nonlisted species. The delta today is what’s called a novel ecosystem: It’s an ecosystem unlike any that has ever existed before. It’s permanently altered by humans and it continues to be altered. It has a mixture of native and non-native species, not only fish but invertebrates, plants, everything out there is a mixture of species from all over the world and they’re all interacting and creating this new ecosystem. There is so much unpredictability about it. Water Deeply: How do we go about taking a more holistic management perspective? Moyle: My own current thinking is that you have to look at it as not one place, but several places. Specifically, for the native fishes, for salmon and smelt and so forth, we should focus our management on them on the arc of habitat that goes from the Yolo Bypass down to the Cache-Lindsey Slough region, which is essentially the north delta, down the Sacramento River and into Suisun Marsh. That is an arc of habitat tied to the Sacramento River that has the highest-quality water and the most water. There are a lot of tidal marshes that can be restored. That is a place where you have the greatest opportunity in interlinked regions for native fish restoration. And that’s making the assumption that the native fish and endangered species are what you want to protect. The contrast to that is over in the south delta, which is the part most influenced by the large export pumps of the Department of Water Resources and the Bureau of Reclamation. That area has just been devastated from a native fish point of view. Instead its value today is for non-native fish, for largemouth bass and similar species. Maybe that is the way you do it – you manage the delta by region rather than thinking of the delta as one ecosystem. Water Deeply: What can you do to improve habitat in those areas for native fish? Moyle: A lot of it involves improving flows through the system. It’s also a corridor for all the migratory fish – the sturgeon, the salmon, the steelhead, they are all migratory. They go up as adults, come down as juveniles. You have to keep water moving through it and that is really the key – you have to manage this area as an estuary. You have to manage the outflows. You either have to reduce the amount of exports substantially or you have to do something like Gov. Brown’s tunnel project or something simpler than what he is proposing, because the present way water is diverted through the system makes it very difficult to maintain it as an estuary. The pull from the pumps changes the whole way the system operates and it makes it very confusing for the fish. Water Deeply: There seems to be a shift toward understanding the importance of floodplains for fisheries. Moyle: There is a growing realization that salmon, especially chinook salmon, were historically floodplain-dependent – no one seemed to recognize that until quite recently because hatcheries basically replaced floodplains for the rearing of salmon. The work started with Ted Sommer, one of my graduate students about 20 years ago. They started looking at salmon on the Yolo Bypass and realized that if the Yolo Bypass is flooded and you’re a baby salmon out there, you would grow three or four times bigger than you would if you were staying in the river. It’s a little bit warmer and there is just lots of food out there. The floodplains are really productive places. When you think about how we can use floodplains to really grow salmon, the first thing you start noticing is that 95 percent of our natural floodplains are gone, but in the Sacramento Valley, they have been pretty much replaced by rice farming. Rice farmers have been very successful at making rice paddies great places to feed ducks and migratory waterfowl, so the question is in the winter, when they are not growing rice, can you also make them good places for salmon? It turns out you can. Water Deeply: Some people have suggested trying to lower the number of predator fish such as striped bass, in order to protect endangered species. What has your research found about that? Moyle: The delta is so complicated, there are so many things going on, but it’s pretty clear that the thing that is driving the basic changes in the delta ecosystem, that has happened since the 1970s, is the water being exported from the south delta as well as the total reduction in inflow. Some water is also exported outside the delta, too – there is a lot of water that never gets there. But the bottom line is that it just doesn’t work very well. If you’re a water manager you’re always looking around for something else to blame and the striped bass are an easy target. It’s a non-native fish, it’s a voracious predator – it has a high metabolic rate. There were lawsuits suing the Department of Fish and Wildlife to take all regulations off striped bass with the idea that if you took away all the fishing regulations on striped bass you could fish it down and there would be fewer predators in the system and therefore there would be more salmon and delta smelt. The reasoning behind that is wrong. Water Deeply: So the science that you found doesn’t support that theory? Moyle: No it doesn’t and, in fact, one of the things I always tell people is that if you’re looking at this from an ecosystem point of view, you have to recognize that striped bass are not specialized on feeding on endangered fish, because endangered fish are too rare to support a predator. 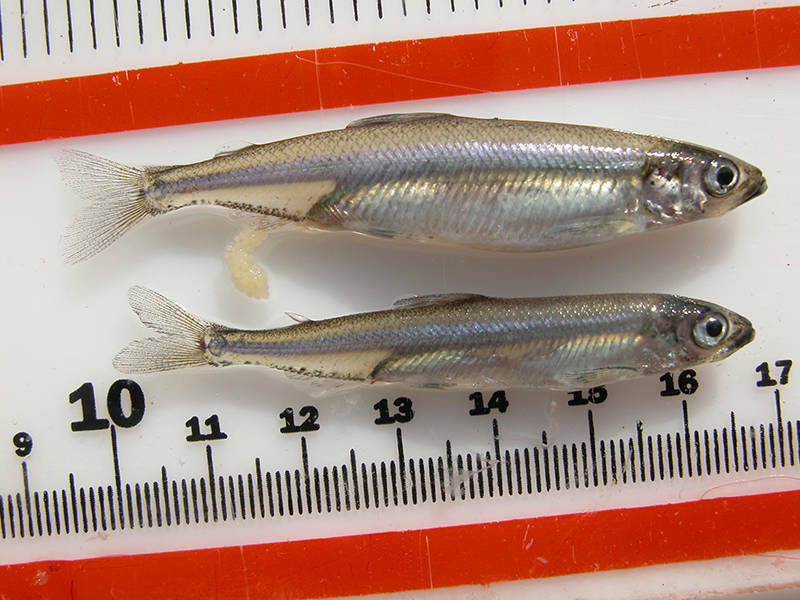 What they are specializing on are all the other fish out there and it’s quite likely that the striped bass are suppressing populations of other predators that could feed on the eggs and larvae of delta smelt, for example. Any time you mess with an ecosystem and remove one predator, it’s going to be a response in the system and it may or may not be a response that you like. In the case of striped bass, there are so many other predators out there that, if striped bass are diminished, the others will just go up. Water Deeply: One of the biggest critiques of the way the delta is managed now is that pumping is being curtailed to keep more water in the system for endangered fish, but the fish populations are still plummeting. So more water isn’t helping. Is that how you see it? Moyle: It’s an oversimplification, but it’s the result of the pickle they’ve got themselves in by not doing things right to begin with. You divert so much water now that it is hard for the fish to recover. There is a big shift in the delta ecosystem, especially the south and central delta; in the 1970s and 1980s the amount of water flowing through the delta was really diminished very quickly as the amount of exports rose steadily through that whole period and the ecosystem changed in response to that. So now we have all these endangered species out there that were really caused, in part (there are lots of things going on), by changes in the way water is moving through the system. [Limiting exports] results in some really substantial losses of water to farms south of the delta as a result of orders that come from the Fish and Wildlife Service and the National Marine Fisheries Service. But they are doing it because they have only a few of these fish left and if they get entrained in the pumps, it’s a dead fish and a violation of the Endangered Species Act. So they don’t really have much choice but to shut down the pumps. It’s a classic case of closing the barn door after the horses have escaped.